Congratulations to Huw Edwards and Liam Moore who have been appointed as captain and vice-captain respectively for this year's Rugby 1st XV. Well done also to Kian Patel who is captain of the 2nd XV. We wish the boys all the best for the rest of their fixtures this season. The experience of a very enjoyable tour of South Africa has certainly helped the team win some difficult encounters already this year. The 15-13 win against Nottingham High School and the 35-34 success against Princethorpe College are the highlights of a season that has so far seen 5 wins from the 8 fixtures played. While the team will, of course, also be hoping to retain the Mike Hibbert Shield next term versus King Henry VIII, for the moment there is excellent county news to report. With Rob Faulkner attending as a travelling reserve, James Faulkner was selected as full back in the victorious Warwickshire side that beat East Midlands 25-17 in a Midlands Schools final this weekend. This was a particularly impressive feat since the East Midlands side was a formidable foe that included England and Northampton Saints academy players. James has now been invited to trial for a Midlands squad that will compete in a national competition and we wish him all the best for this. 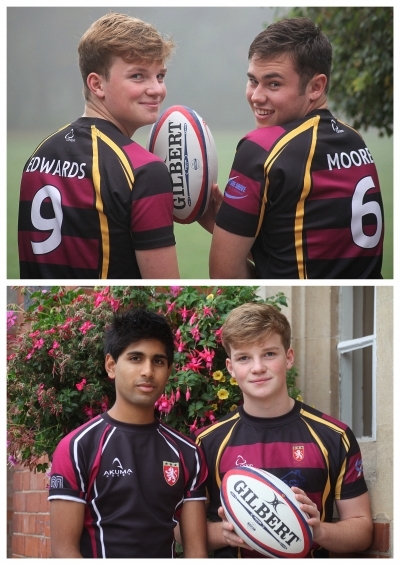 To follow the progress of our rugby 1st XV and all our other teams, please check out the Bablake Sport website.